It's a two-page document with exercises on the third conditional. I have put the solutions for the second exercise so remember to fold back the bottom part of the sheet before handing it out to your students. Once they have finished the exercise, they can check if they were correct or not. 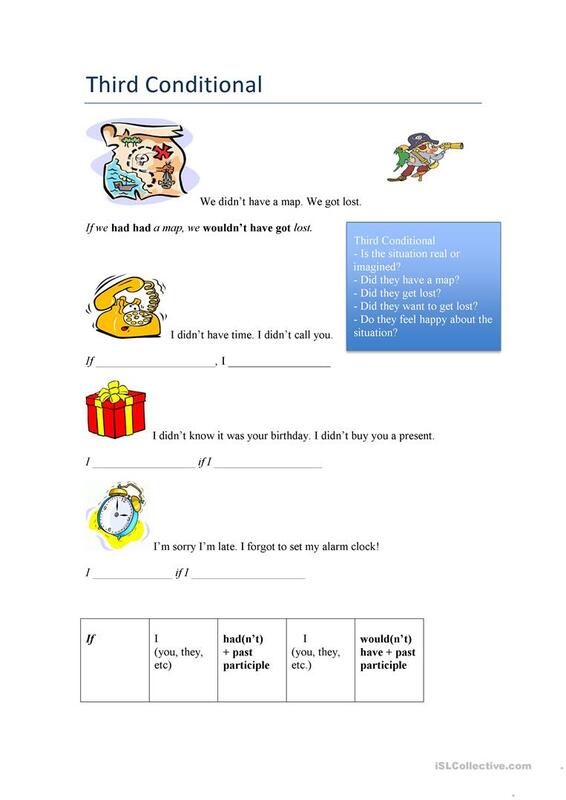 The present printable, downloadable handout is best suited for business/professional students, high school students and adults at Intermediate (B1) and Upper-intermediate (B2) level. 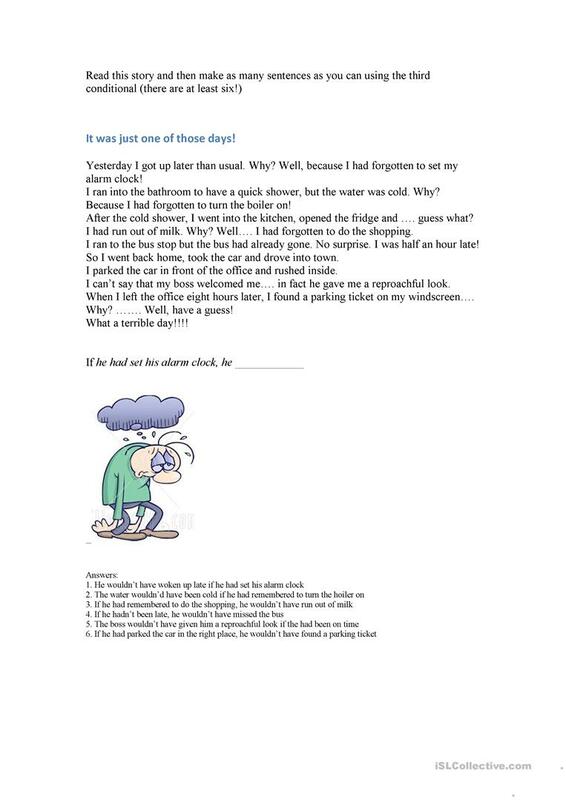 It is a useful material for revising Conditionals in English, and is a valuable material for working on your groups' Reading and Writing skills. The solutions are provided, too. annalancetta is from/lives in Italy and has been a member of iSLCollective since 2012-09-26 19:33:35. annalancetta last logged in on 2019-04-06 20:23:00, and has shared 13 resources on iSLCollective so far.